Search results for "french cuisine"
Béchamel, one of the "mother" sauces in classic French cuisine, is versatile: It's used in dishes such as lasagna, macaroni and cheese, and moussaka. 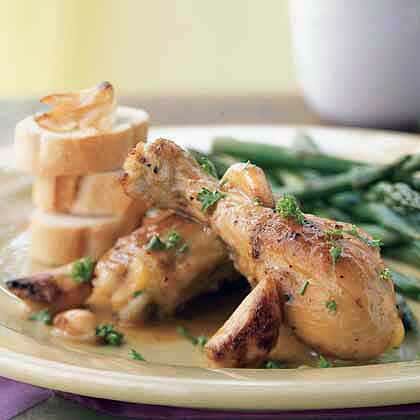 Chicken with 40 Cloves of Garlic is classic French comfort food at its simple and satisfying best. One of the basic tenets of French cuisine is making full use of ingredients—hence, whole chickens in this recipe. Savory tarts are an integral part of French cuisine. Each region has its own variation, and this rustic version has a pizzalike crust. You can prepare the filling while the dough rises. 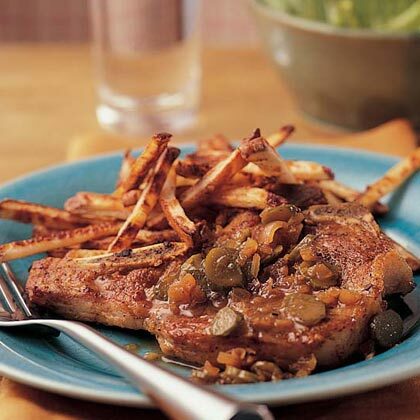 This is a contemporary version of a classic pork dish, côtelettes de porc charcutèrie. Making the most of an ingredient is one of the prime tenets of French cuisine; here, none of the delicious flavor of the pork is lost. The sauce, while light, is rich in flavor. Cornichons, French for "gherkins," are tart pickles made from tiny gherkin cucumbers. You can find them next to the pickles in the supermarket. Savory tarts are an integral part of French cuisine. They range from simple, rustic bread-dough tarts like this one--which are frenquently slathered with sweet onions--to rich egg, butter, and cream confections. Variations on this tart can be found in just about every region of France: from the Côte d'Azur and its pissaladière (buttery pâte brisée filled with onions, tomatoes, olives, and anchovies); to Burgundy, where a tart like this includes walnuts; to Alsace, where the same tart is drenched in cream and seasoned with bacon. 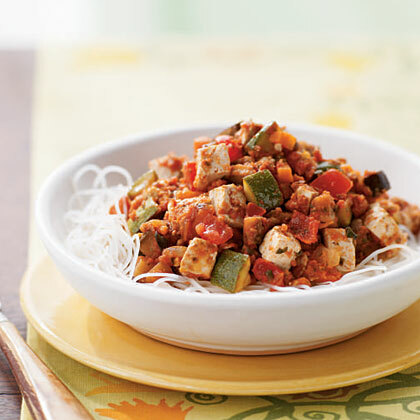 This dish epitomizes the fusion of French and Asian cuisine that is the hallmark of Helene An's cooking inheritance: Ratatouille is French, and tofu decidedly Asian. Serve with rice noodles. Offer the extra Pesto Coulis as a dipping sauce with crusty French bread; it's also nice tossed with hot rice or pasta. Enjoy an international meal tonight by serving a Korean-style dinner. Give everyone a bowl of soup and a serving of rice, then serve the main dishes family-style for an inspired dinner. Often referred to as the lighter side of Asian cuisine, Vietnamese dishes include light soups, stir-fries, and noodle bowls featuring fresh ingredients and fragrant spices. Grab your chopsticks and enjoy these wonderful dishes, which are sure to delight at the dinner table. This appetizer from Bobino Café has cardamom--an important spice in Scandinavian cuisine and, hence, Minnesota cooking. 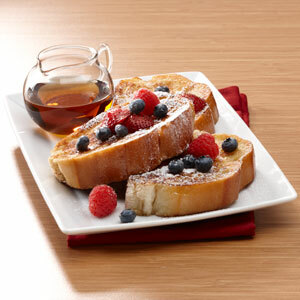 Serve with toasted French bread to sop up the fragrant broth. Treat your taste buds to dishes from a cuisine that was inspired by a melding of Caribbean, Spanish, and African cuisines. Vietnamese cuisine features endless variety and extraordinary flavors. This cool, yogurt-based side dish complements spicy Indian cuisine. 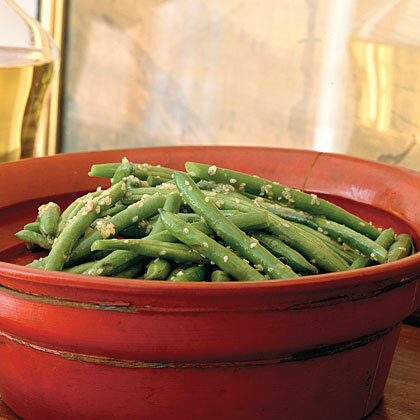 The rich sesame flavor of these green beans reflects traditional Korean cuisine. If you thought cheese fries were a brilliant triumph of culinary design, wait until you bring crisped roast beef, caramelized onions, Swiss cheese sauce, and au jus to the party. Inspired by a classic French dip sandwich and comparable to a roast beef poutine, these decadently beef-loaded fries are bringing a whole new level of swagger to the “meat and potatoes” meal construct. 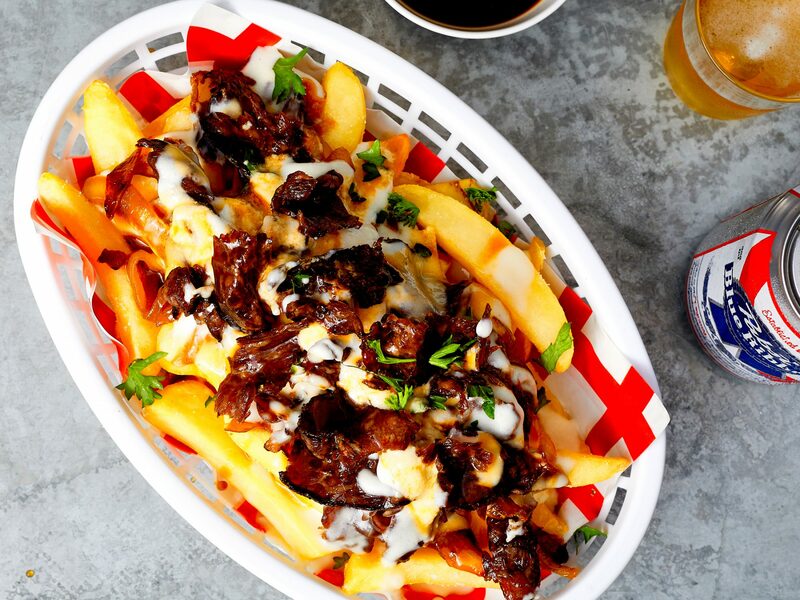 We’d suggest sticking with steak fries when making this built-for-sharing snack, as you need a hearty spud to stand up to the French dip treatment.